A student in a health and physical education course at NIST will be immersed in an environment that develops mental, social and physical well-being. Through taking part in a variety of challenging contexts, students will have the opportunity to develop life skills, knowledge, understanding, positive attitudes and values. These include encouraging the growth of resilience, respecting diversity, valuing regular physical activity, supporting others and being able to collaborate positively. As the students develop these attributes, they will be empowered to make healthy and informed choices, and appreciate the value of active living. Within the PYP personal, social and physical education is organized around the strands of identity, active living and interactions. Identity focuses on our own beliefs, values, attitudes, experiences and feelings, and how they shape us. This includes understanding strengths, limitations and challenges, as well as the ability to cope successfully with situations of change and adversity. Active living explores the factors that contribute to developing and maintaining a balanced, healthy lifestyle, as well as the promotion of safety, understanding rights and responsibilities, and taking action for healthy living. Interactions promotes an understanding of how an individual interacts with other people, other living things and the wider world, including awareness and understanding of similarities and differences, and an appreciation of the environment and humankind’s responsibility as custodians of the planet for future generations. 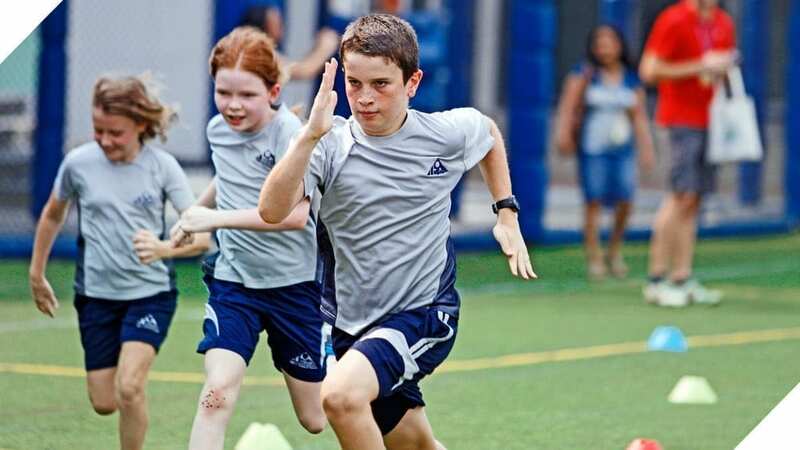 The PSPE curriculum is integrated into transdisciplinary units of inquiry and is also taught through individual subjects, most notably physical education, where students experience activities such as track and field, swimming, movement composition (e.g., gymnastics, dance, synchronized swimming), games, adventure challenges and health-related fitness. appreciate the interdependent relationships between humans, other living things and the environment. This rigorous course enables students to inquire into systems of the human body and explore how and why these systems work together. In their study of sports, exercise and health science, students learn how to apply their knowledge and understanding by critically analyzing human performance, and through planning and conducting laboratory investigations.